Dr. Gamber received her Doctor of Veterinary Medicine and Bachelor of Science in Biomedical Science from Texas A&M University. Before moving to the Pacific Northwest she practiced general veterinary medicine in Dallas, Texas. 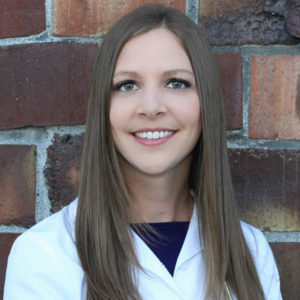 Her special interests in veterinary medicine include internal medicine, dermatology, and soft tissue surgery. She is passionate about providing the highest quality of care for her dog and cat patients, and has a particular fondness for pot-bellied pigs. 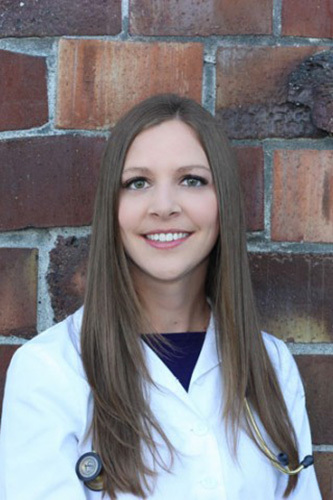 When she isn’t practicing veterinary medicine, she enjoys spending time outdoors running, hiking, and kayaking. Her own pets include a brown tabby cat named Amber and a pot-bellied pig named Eleanor Pigby.